Paying tribute to the late great Eastern Airlines, we have a great new embroidered polo shirt with EASTERN's logo and type. 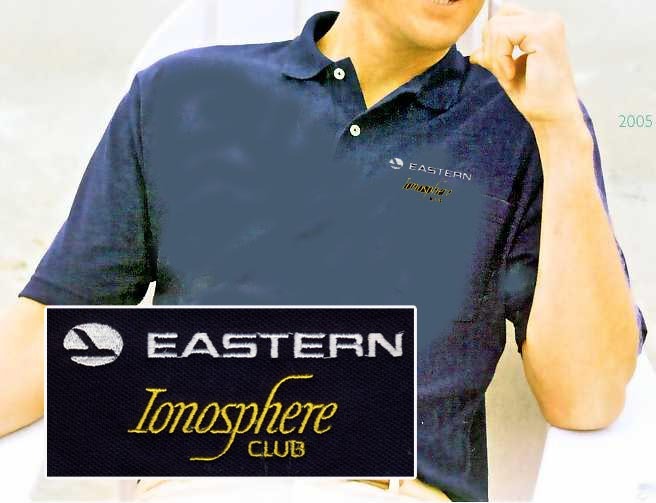 Also, below that, we have the great "Ionosphere Club" logo in gold. Probably a lot of you remember those lounges! On a high-quality Gildan Pique 6.1 oz., 100% preshrunk Navy Blue (a little darker than the photo here) cotton jersey knit. Three-button placket with woodtone buttons. Double-needle stitched bottom hem. 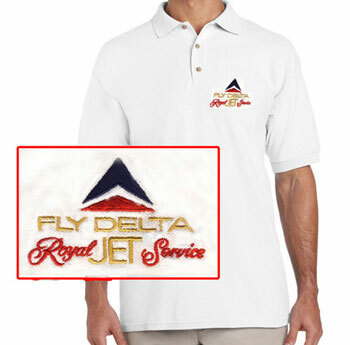 Delta '60's "Royal Jet Service" Polo! 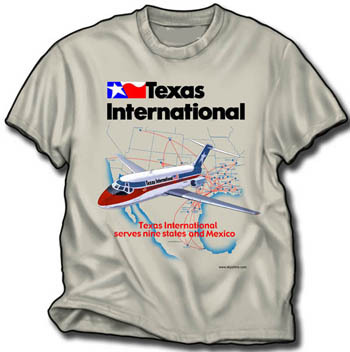 Braniff "747 Braniff Place" on Iris Blue!